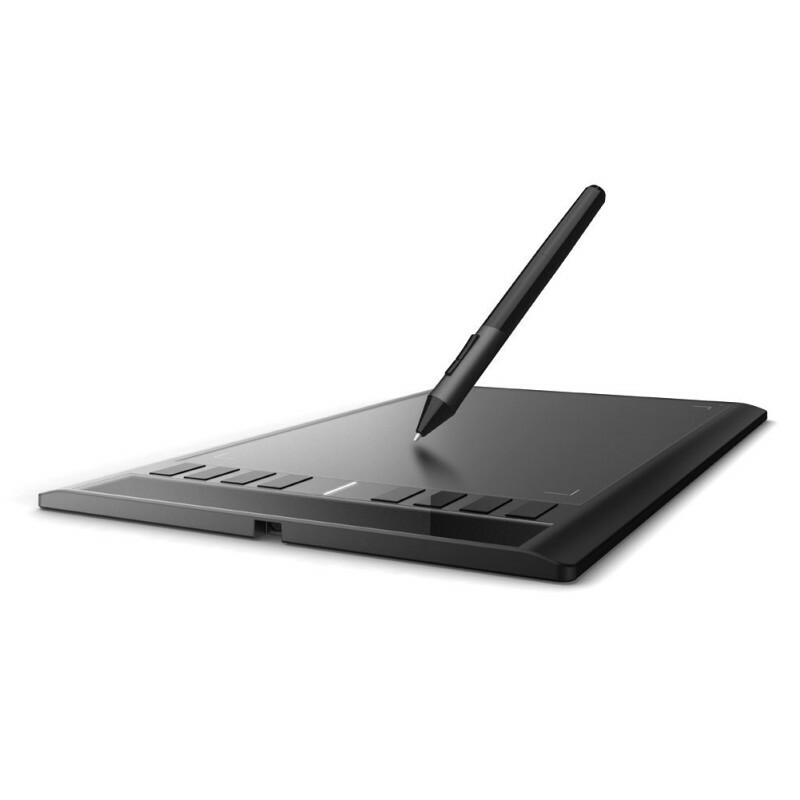 How To Pick The Most Ideal Graphics Tablet To Start Out In Digital Art (And Other Purposes)? When picking a graphics tablet for starting out, you should focus on the overall drawing experience, like how good the drivers are, and how much drawing area you have with it. Many other aspects can affect your decision to a lesser degree, like wireless capabilities, the number of express keys, and more. I wrote this guide to help you pick the best graphics tablet to start out in digital art. The good thing about this is that you can get a good one for less than $100, and to pay more if need more features. But that won’t be a requirement, since your needs are not high at this stage of your journey. To make things easier, I will simply take each of the points that could affect your decision, and discuss them one by one. What Tablet Size To Get? Where To Buy Graphics Tablets? Compatibility With Art Programs:- Will My New Tablet Work With My Drawing Program? How About Pen Displays? The Graphics Tablets With Screens? Graphics tablets come in multiple sizes, usually dubbed as small, medium & large. With rare extra large models you may hear about at times. Picking the right size is tricky, but it’s the first choice you have to make. Because once you determine the size you want, it will filter out a lot of the models in the market. I will give you two advises here, based on which task you could be using the tablet for. If you intend to use the tablet for drawing, I highly advice you to get medium-sized one. 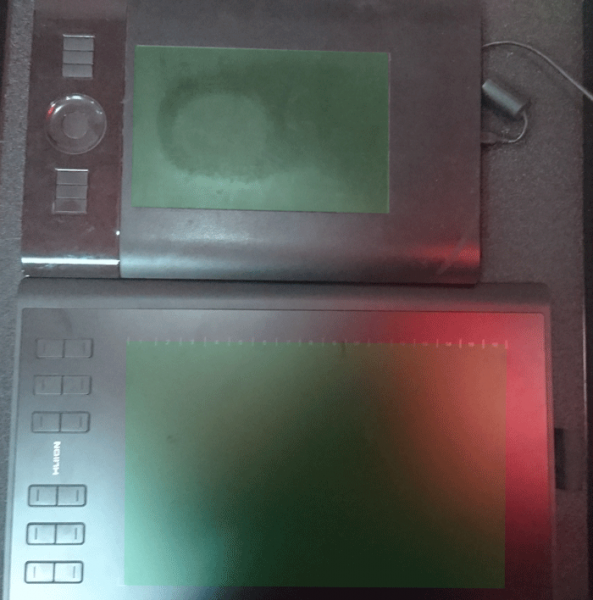 Some artists will appreciate a larger tablet too, since it makes it much easier to draw precisely (I used a large Intuos Pro for years, and I still plan to use it around for certain sketches). Drawing with a small tablet is totally possible, but it’s much harder, and you will find that you have to zoom in more to achieve the same results. The only times I would advise you to pick a small tablet for drawing is in case your budget won’t allow for a bigger tablet, or if you want to carry if around. For purposes like photo editing, you can get away by getting any size, including a small tablet. As the tablet is just an easier way to control the mouse. Smaller tablets can be comfortable to use here, as long as your monitor is not big. Medium tablets can provide you with more precision in that case too. Note:- It’s important not to mix between the active area, and the tablet dimension. The active area is the part of the tablet where you actually draw, which tends to be smaller than the tablet itself. Pressure sensitivity can also be used to control the brush opacity, and many other things, depending on what settings your art program supports. Graphics tablet pressure sensitivity, and what does it mean? This is one of the main reasons why drawing with a graphics tablet is superior to using the mouse. Since it’s an important feature, it may be tempting to get the highest pressure sensitivity you could get, but in reality, you don’t have to, since there’s a limit to how much you can benefit from additional pressure beyond a certain point, so don’t stress out about it too much. Any tablet that supports 2048 levels of pressure or more is worth of getting, some may argue that getting even less than that is okay, but these tablets tend to be much older. Even if pressure sensitivity mattered, different graphics tablets from different brands all support the highest pressure level out there. So unlike the tablet size, this is not a determining factor, but is good to know. Many graphics tablets come with hot keys, or express keys as Wacom calls them. These keys can be programmed to do many functions, like keyboard shortcuts & mouse clicks, which can be handy to access the tools or dialogs that you use often. Some artists prefer not to use hot keys, and opt to use the keyboard instead, since it gives them more options. I am one of those people. I only bother with using the hot keys when I do something that doesn’t require much shortcuts, like simply sketching & the like. Tip:- You may have noticed the trend here, but many things when it comes to digital art (and other purposes), like graphics tablets, are bound to your preferences, which you will develop after dabbling with it for some time. I am mostly trying to give you information to help you imagine how each feature would be like for you, before you get the chance to try it. Similar to pressure sensitivity, tilt sensitivity allows you to tilt the pen & change the stroke resulted from that. For this feature to work. your art program needs to support it. Unlike pressure sensitivity, tilt sensitivity is not a key feature that you must get. So getting a tablet without it is totally okay. That’s specially the case if you’re just starting out. I have been drawing digitally for years, and I almost never bothered using tilt myself. And that didn’t stop me from creating some good artworks. For the most part, only the higher-end Wacom tablets like the Intuos Pro support this feature. Some tablets can be used wirelessly, without being connecting via USB cable. They offer that either by using bluetooth, or via a dongle that comes with the tablet itself. There are some obvious advantages to that, like having less cables clutter, as well as convenience. Think of it as the same as having a wireless keyboard & mouse, you may not need it, but will appreciate it if you did. Just keep in mind that wireless feature, while it works, is not always without issues. There are times where I had issues with my tablet that only appears when I use it wirelessly, which forced me to use it with USB able instead. There are two places many artists buy their graphics tablets from. Amazon & BHPhotovideo. (To be fair, this blog is affiliated with both). This is another question you may be wondering about if you’re getting a graphics tablet for the first time. To give you a short answer:- For the most part, this is not an issue to worry about, as tablets nowadays work with all sorts of art programs, or even as a pointing device with the other sorts of programs, like video editors. This may have been a big issue in the past, but as long as the driver is working, it will most likely work with any common art program. To give you an example, I recently received & reviewed Huion New 1060 Plus, and it worked with Photoshop & Sketchbook Pro without any issue, on both Windows & Mac OS. In short, the only time you should worry about art program compatibility is in case you use an old program, since the older ones are sometimes geared toward Wacom tablets. This is an aspect where artists are torn between artist. One you will have to consider every time you buy a graphics tablet, not just the first time. 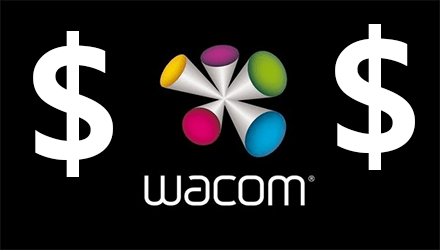 Should you get a Wacom tablet, or try the other brands? If you’re starting out, you won’t need some of the features offered mostly by Wacom (if ever), like tilt sensitivity or touch rings, as they are nice to have for the most part. 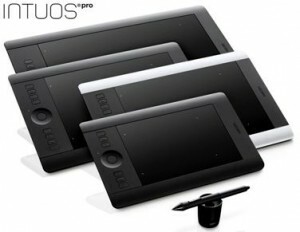 In my opinion, Wacom tablets are better looking that the competition, but the other tablets also look good enough. Wacom competitors like Huion, Ugee, XP-Pen, Monoprice have a distinctive advantage when it comes to the price. Making it the good choice if you have a low budget. It makes it easy to try them without the rest of regretting your decision. Sadly speaking, all the brands I am aware of suffer from some sort of driver issues, in one way or another. The trick I resort to is to try the driver version that really works, and stick to it as much as I can. Since tablets are essentially pointing devices, installing another driver version is not important as long as it works properly. 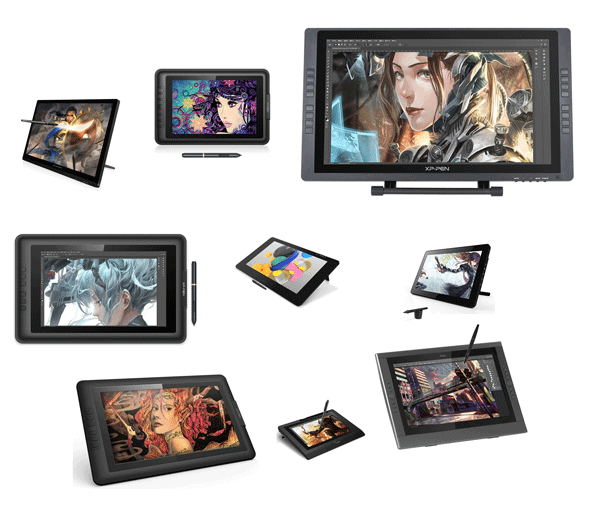 See also:- Why are Wacom graphics tablets & products very expensive? 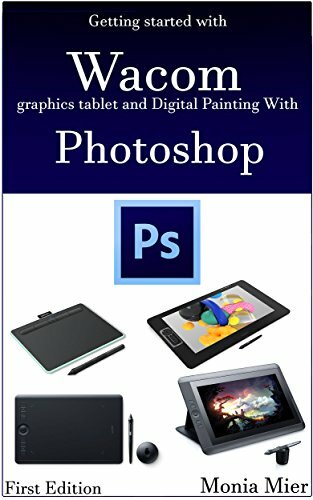 In case you opted for Wacom, consider checking out my book “Getting started with Wacom graphics tablet and Digital Painting With Photoshop“, which I wrote for the absolute beginners, to give you a little push about how to use it & configure the various options, and how to solve many of the various problems you may have with it. While looking for your first graphics tablet, you may have stumbled upon some of the higher-end tablets. The ones that come with a screen to draw directly on, and whether they are worth it or not. If you have the money to buy them, go for them by all means. They allow you to draw more naturally compared to regular tablets. Price is the key issue here. That’s particularly the case in case you live in a country where you have to ship it internationally to get them. If you are willing, try both. While regular graphics tablets are considered inferior, they are easier to carry around, and it’s easier to work with while maintaining a healthy posture.